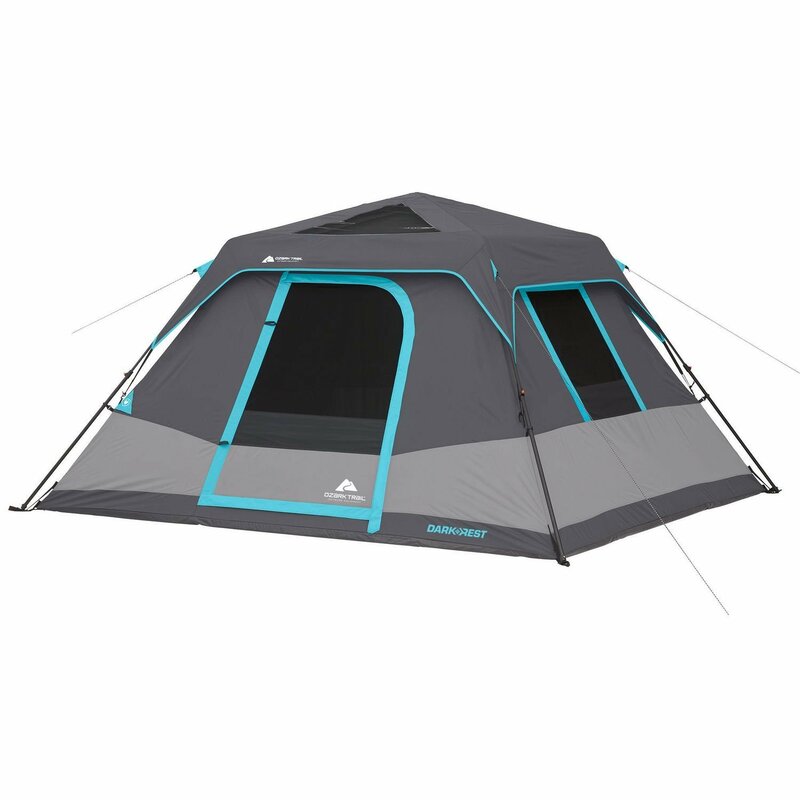 OZARK Trail 6-Person Family Cabin Tent For Camping with Built-In LED Lights sets up in 60 seconds or less and requires no assembly the poles are pre-attached to the tent; just unfold and extend. The ambient LED-lighted poles provide ample light throughout the tent and can be adjusted with low, medium and high settings. This roomy cabin-style tent has three large windows and two ground vents for maximum views and ventilation. This six-person instant cabin tent comfortably fits two queen airbeds or up to six campers in sleeping bags on the floor. Keep yourself organized and connected with the hanging organizer, media pocket and electrical port.